Very accurate build and beautiful finish, thanks for sharing! Maybe one day Tamiya will produce new tool Ki-43 too..
A pleasant model, the camouflage and scraping look very convincing. 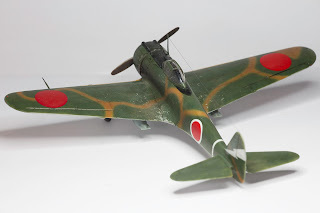 It would be interesting to know if the wavy brown lines were an original variation of the China theatre camouflage. There is just one thing that keeps me wondering: Quite a number of Ki-43-I models have landing lights in the wing root. I have not found evidence of this feature on any pictures. I think they arrived with the -II variant. 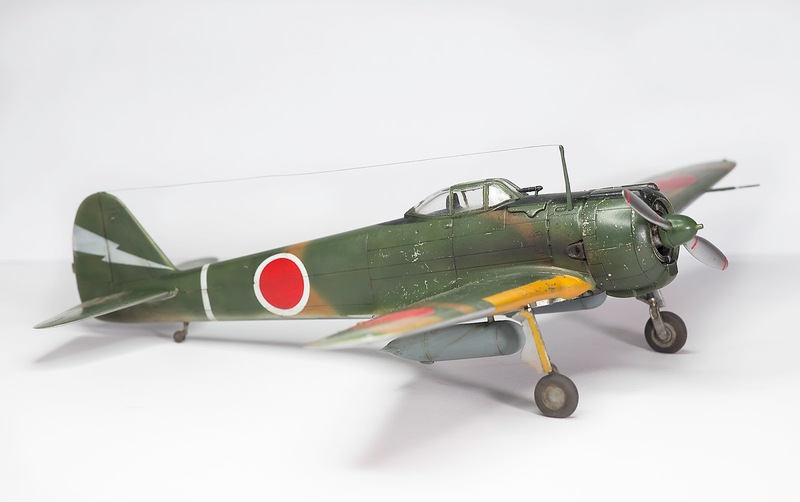 The Fujimi kit includes the port wing landing light but it was only introduced during late production of the Ki-43-II. 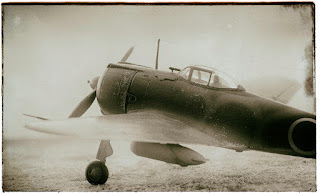 Hiko Dai 11 Sentai re-equipped with the Ki-43-I at Akeno in Japan and then moved to Burma for only two months at the end of 1942 before going on to Rabaul and the New Guinea theatre. The camouflage was probably intended for the Burma theatre as similar colours were found on 64th Sentai Capt Masuzo Ohtani's Ki-43-I shot down on 5/12/42 near Chittagong. 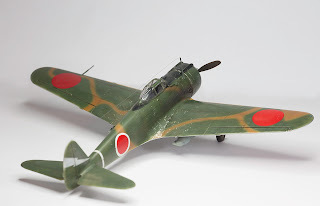 50th Sentai Ki-43-I also arrived in the Burma theatre from Akeno with green paint, later modified with brown disruptive camouflage. 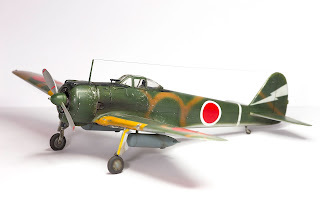 So, the landing light came with the change to the shorter-span wing during Ki-43-II production, I assume. 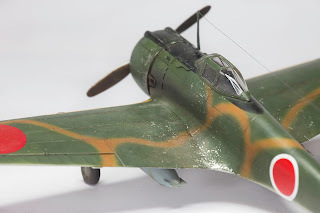 It's always great to see another Ki43 model here, especially in 1/72nd. I really like the finish on this one. 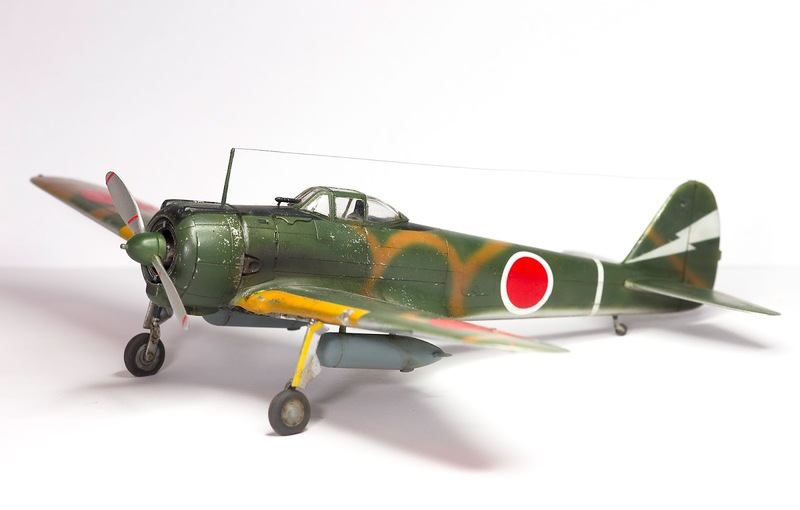 I don't have to hand the serial number or date for the landing light installation but it was added to the last Ki-43-II variant before the II Kai with individual exhaust outlets. Therefore early and mid-production II (with the outward facing exhausts) should also omit it. 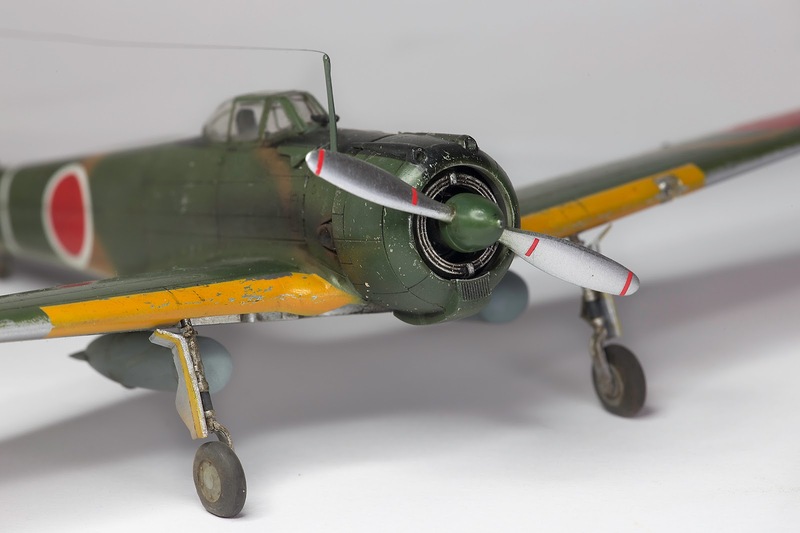 Bear in mind that despite kits, decals, profiles and plans there was no Ko, Otsu, etc., for the Ki-43-II and not all modifications or additions associated with a particular variant were made at the same time. The painting is very well done. It shows that Francesco made it with love and passion for the subject. I think the paint job represents at least 90% of the general impression when someone looks to a model displayed on a shelf. So, minor flaws on details, especially on this difficult scale are forgivable. Beautiful work, Francesco . Thanks for sharing.